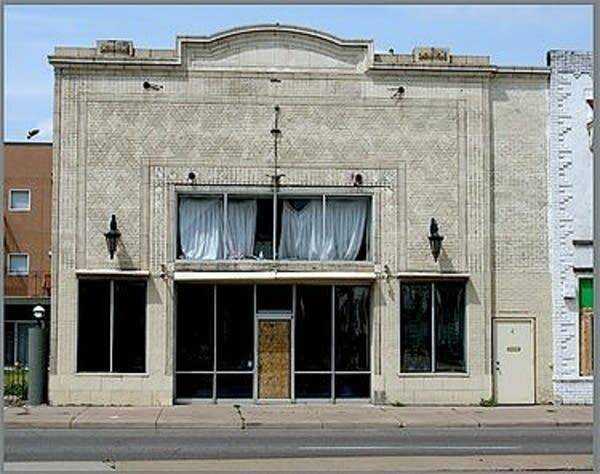 Community members have prevented the planned demolition of a former speakeasy in St. Paul, a place where "pretty girl entertainers" mingled with mobsters during the heyday of the Roaring '20s. Model Cities, a local nonprofit social services and community development agency, had planned to convert the site into a parking lot. The organization backed out of its purchase agreement about a week ago, citing opposition from community members, according to the property's current owner. But the future of the former Victoria Theatre, at 825 University Ave., remains uncertain. Historic preservation agencies have considered the site for designation on the National Register at least three times, most recently in 2008, and rejected it every time. On Tuesday, the Save the Victoria Theatre project delivered a letter to the St. Paul Heritage Preservation Commission requesting that preservationists reexamine the property. The group hopes that new research into the building's raucous Prohibition years could convince the city to grant a historic designation. The designation would prohibit the demolition of the building. 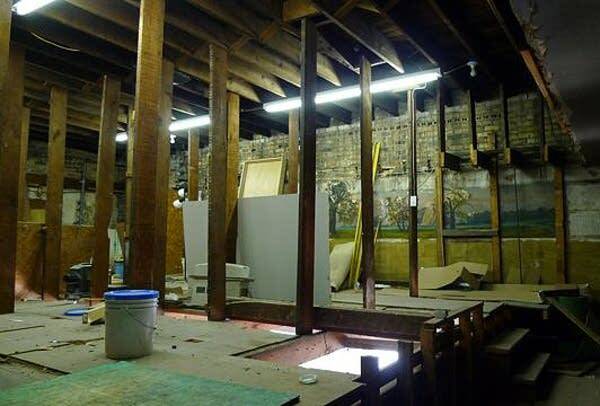 Kurt Gegenhuber, a folk music enthusiast and self-described amateur historian was perhaps the first person to stumble across the building's forgotten history. Gegenhuber was reading through the liner notes of the Anthology of American Folk Music on a Saturday morning three years ago, when he came across a curious entry. The anthology, which helped spark the 1950s folk revival, compiled folk, blues, jazz, gospel, and country songs recorded from 1927 to 1932. A new generation of musicians, including Bob Dylan and Joan Baez, treated the anthology like a folk music Bible, bringing songs from the hollers of Appalachia into Greenwich Village cafes. The Smithsonian Institution reissued the six-disc compilation with expanded liner notes in 1997. Gegenhuber paused at the description of a song called "Moonshiner's Dance Part One," by Frank Cloutier and the Victoria Cafe Orchestra. "The Frank Cloutier Orchestra does not appear in any jazz or dance band discographies but is assumed to have been from the Minnesota area," the entry said. Gegenhuber was surprised to see a Midwestern band included in the anthology -- and was even more surprised that historians knew almost nothing about the recording. Since he didn't have any other plans for the day, he headed down to the Minnesota Historical Society. 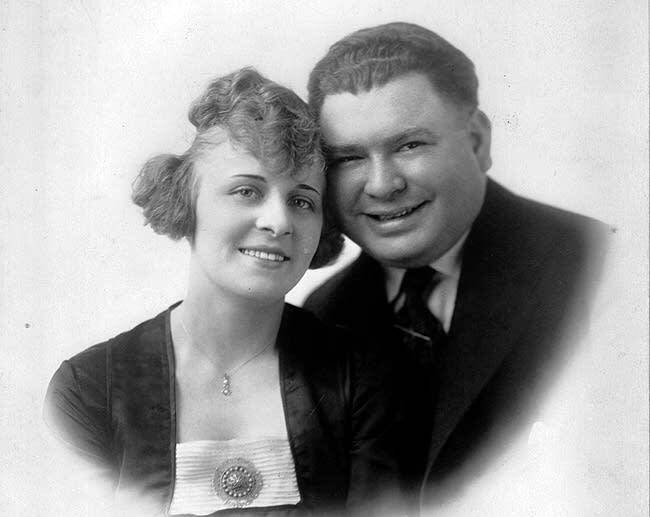 "I picked up a city directory and within 20 minutes I found Frank Cloutier," he said. "And I thought, 'Those darn Smithsonian people. They didn't even bother to look in the phone book.'" The directory listed Cloutier's address as the Victoria Cafe, 825 University Ave. Gegenhuber got in his car and drove to the site. When he turned around the corner, he saw a large crane and a dumpster overflowing with burnt scraps of wood and metal. "I thought, 'Oh my god. On the very day that somebody finally puts two and two together, it's going to be lost,''" he said. Gegenhuber got closer and realized that the building next door had been partially destroyed by a recent fire, but the former Victoria Cafe was safe. "After all those decades, somebody finally realized that this building belongs to the document that Dylan and the Byrds and the Grateful Dead and all those people learned to play music from," he said. Gegenhuber, who works as a tech editor for science journals, spent the next three years piecing together the history of building. Previous historical surveys focused on the property's five-year history as the Victoria Theatre, a silent movie house founded in 1915. But Gegenhuber focused on the building's later incarnation as the Victoria Cafe, a popular dance hall that was the target of repeated and even violent raids by federal agents during Prohibition. 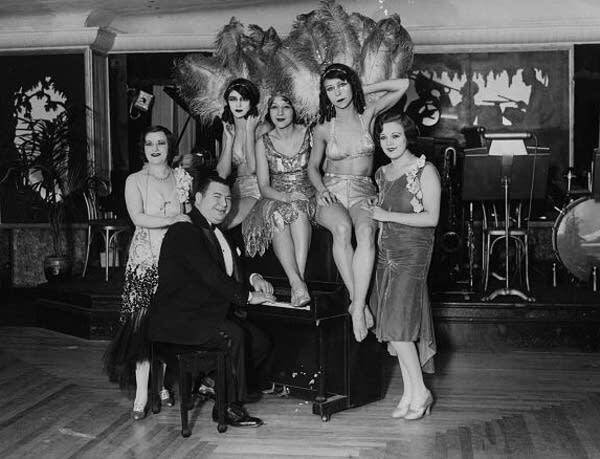 Frank Cloutier led the house orchestra, performing alongside show girls dressed in sparkling flapper dresses. 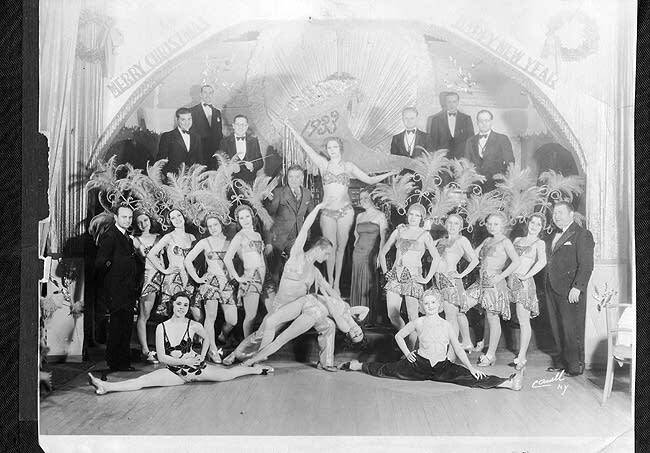 In 1927, agents issued a temporary injunction to prevent the Victoria Cafe and other nightclubs from selling non-alcoholic "set-ups" to customers who would then add their own alcohol. The injunction was announced two days before New Year's Eve and made the front page of the Saint Paul Dispatch. 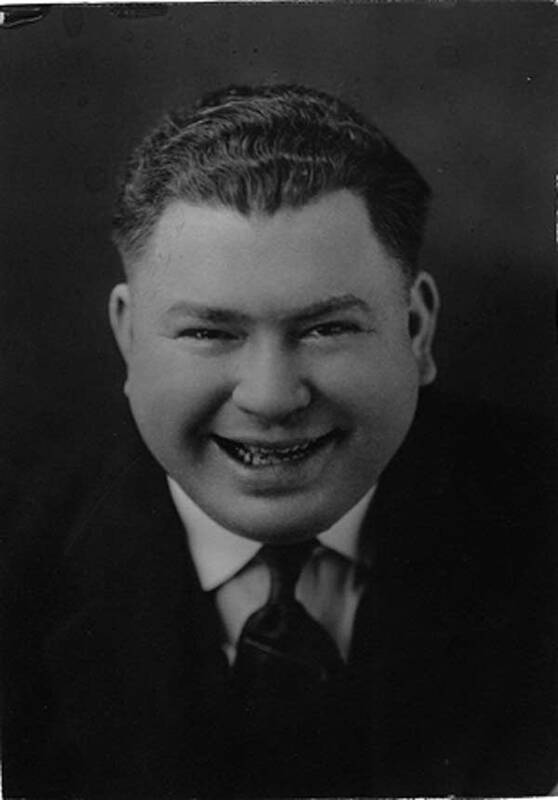 "Prohibition officers believe that if the sale of 'set-ups' can be halted, it will curb drinking in public places and remove much of the usual downtown hilarity resulting from illegal moisture," a reporter wrote. That same year, Frank Cloutier and his band recorded Moonshiner's Dance, the song that ended up on the anthology years later. "It sounds like a jazz rendition of a rural Minnesota polka," Gegenhuber said. "I don't really think it sold all that well." 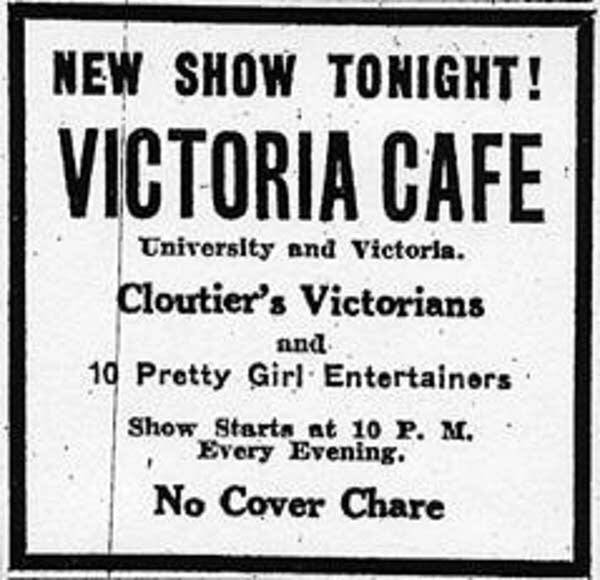 Gegenhuber believes that the record was made as an "audio flyer" to advertise the Victoria Cafe as a place where alcohol flowed freely. "The name of the recording is Moonshiner's Dance, after all," he said. A year later, federal "dry" agents stormed into the cafe, sparking a violent brawl between the patrons and the authorities. Allen McGill, a former assistant Ramsey County attorney and a regular patron of the cafe, was among the injured. He sent out an urgent telegram to his congressman, alleging that the agents had not identified themselves until after the fight began. "Saturday night at the Victoria I had just finished eating," the telegram said. "No liquor was in sight at my table. I sensed something unusual occurring and on looking up beheld a rough looking man just behind me dressed in hat and overcoat. I stood up thinking I was about to be held up." A physical fight ensued, and ended with McGill being struck over the head with a club and arrested. "At the same time one of the assailants said if there is any more fight in the blank, kill him," McGill wrote. Victoria Cafe closed in the early 1930s for unknown reasons, and reopened as a lighting company in 1936. The property changed hands several times over the years, and the last business moved out about ten years ago. The property has been vacant ever since. 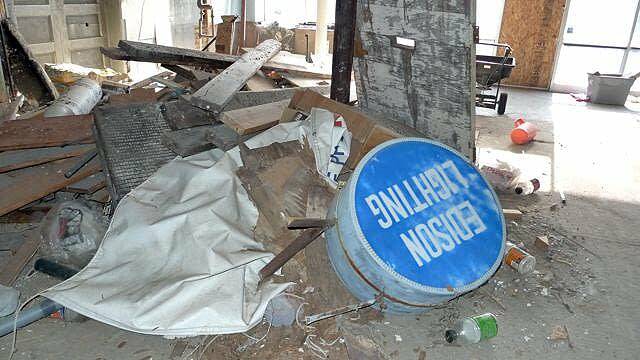 Only a few hints of the building's history remain. 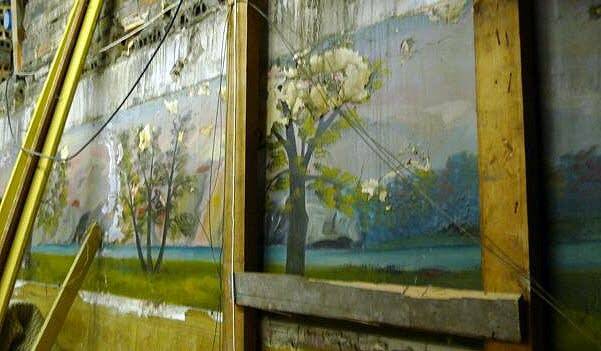 A mural depicting northern Minnesotan forests wraps around the second floor, surrounded by construction materials and discarded electrical equipment. 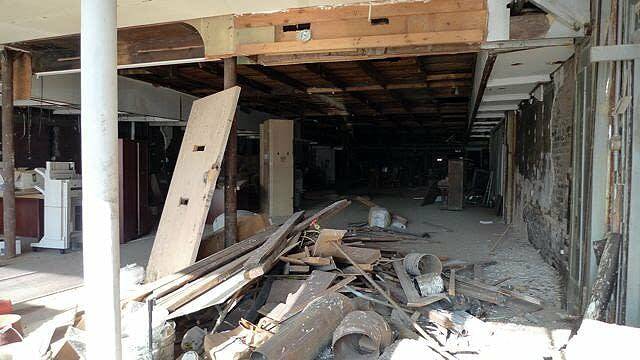 Piles of empty boxes, trash, and lighting fixtures litter the first floor. The building lacks a bathroom and its heating and cooling system stopped working years ago. "There really isn't much here," said owner Bee Vue while navigating his way upstairs on Monday. "At a certain point, you just have to move on." Vue expressed frustration with the preservationists for thwarting the sale to Model Cities. Before he entered into the agreement with the nonprofit, Vue had worked for months with Keith Johnson, a local businessman, to try to save the building. Johnson wanted to turn the building into a nonprofit performing arts center. He brought in a construction firm and an architect to survey the building. The construction firm estimated that the renovation would cost $420,000. "I was running all over town trying to find funds," Johnson said. He applied for city funding, but his grant application was rejected. Several months after Johnson failed to secure other financing to purchase the building, Vue started looking for other buyers. Vue said Model Cities wanted to buy the property because of concerns about the potential loss of parking due to the Central Corridor Light Rail Project. The agency currently uses a 13-car parking lot that sits in between the two buildings. Model Cities did not return several calls for comment. Brenda Bailey, the agency's director of finance and real estate development, confirmed Monday that the agency backed out of the purchase agreement, but declined to comment further. Vue said he feels "stuck in the middle of an impossible situation." If the property receives historic designation, it would be protected from demolition. Vue said he doubts that anyone would want to invest in a run-down building with no street parking. At the same time, Johnson still hopes to purchase the building and plans to reapply for city funding. His project has the support of a growing number of local artists, business owners and neighbors. The group has held several meetings to strategize how to best preserve the building. "It's a daunting task, but I still think it can happen," Johnson said. Over 300 people have joined a "Save the Victoria Theatre" Facebook group created by Hai Troung, owner of the nearby Ngon Vietnamese Bistro. "It's so much more beneficial for this neighborhood to have an arts area, versus a parking lot," Troung said. The District 7 Planning Council has voiced its support for the preservation effort. "We need this area to be a destination place," said Tait Danielson Castillo, the council's executive director. "And we need to ask what the community values." Gegenhuber has joined the preservation effort and plans to write a book about Frank Cloutier and the Victoria Cafe. He hopes his research will help the building receive historic designation. "It was a scare on the very first instant, and ever since then, every time I drive past the place, I turn that corner and my heart skips a beat until I see that it's still standing," he said. "It was forgotten for so long, and now that I'm the guy that figured out its importance, I have this feeling of responsibility toward it."